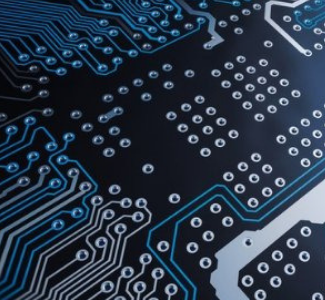 When your business requires printed circuit boards to create a product, you might not understand absolutely everything about what goes into the process. You might also feel uncertain about which type of PCB production will best suit your needs. If your PCB manufacturer offers both PCB prototyping and standard PCB production and assembly, which is the ideal option? The answer largely depends as to where you are in the process, as most customers will opt for both at one time or another. Approximately 53% of respondents reported that their top PCB design problem to solve in order to improve the entire process was to increase product complexity. But you won’t be able to get very far into this process if you don’t have PCBs that are proven to be effective. That’s where PCB prototyping comes in. Prototyping involves creating small batch PCBs using basic materials. It’s all about ensuring that your design actually works as intended and to assess whether it’s worth doing a full standard production run. It’s meant to be fast and limited so that you can have those boards inspected and tested thoroughly before investing in a larger production size. This is the time to work out any kinks in your board design. When you need to completely start from scratch, prototype PCB assembly should be your go-to choice. Standard production is usually the second (or more advanced) step in the PCB assembly process. If you have an existing design to work from and have determined that design is ready to go, you won’t need to perform other preliminary testing or order a small batch. Instead, you’ll go ahead and make the boards with more high-end materials with the full number of layers required. During this stage, you’ll have a greater number of options to choose from and can incorporate more advanced features, as well. It typically takes a little bit longer to complete this stage, as the volume is going to be substantially more than with a small patch assembly job. That’s another reason why it’s a good idea to pursue prototyping first; otherwise, you could end up wasting a lot of time and money before you’ve eliminated potential errors. Ultimately, understanding the differences between PCB prototyping and standard production will allow you to make an informed decision about which process will serve you best at a given moment. Most businesses find that having a manufacturer that offers both prototype PCB services and standard PCB production will work out in their favor. To learn more about the services and products we can offer, please get in touch with us today.